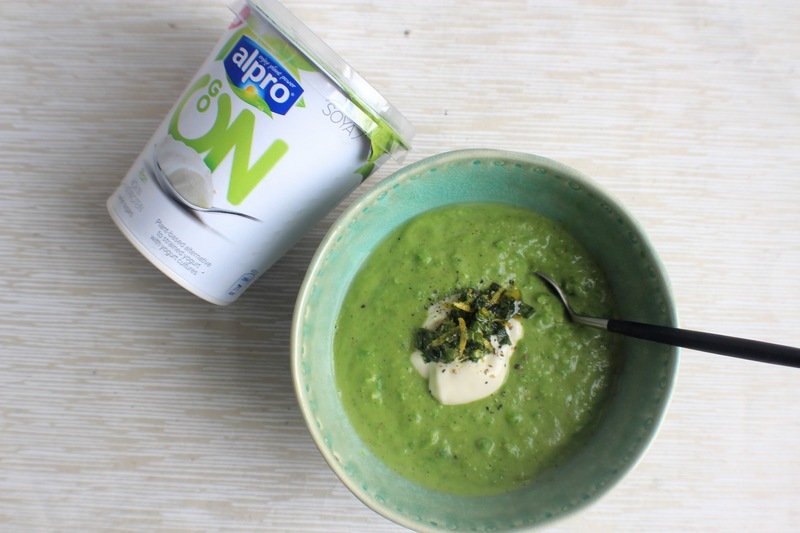 I’ve been a big fan of Alpro products for a while, especially their plant-based alternatives to yogurt. If you haven’t heard about or seen it in the shops, the brand have just launched the new Plain Big Pot which has a delicious super thick, smooth texture – making it a tasty and high protein addition to all kinds of meals, snacks and added into baking. 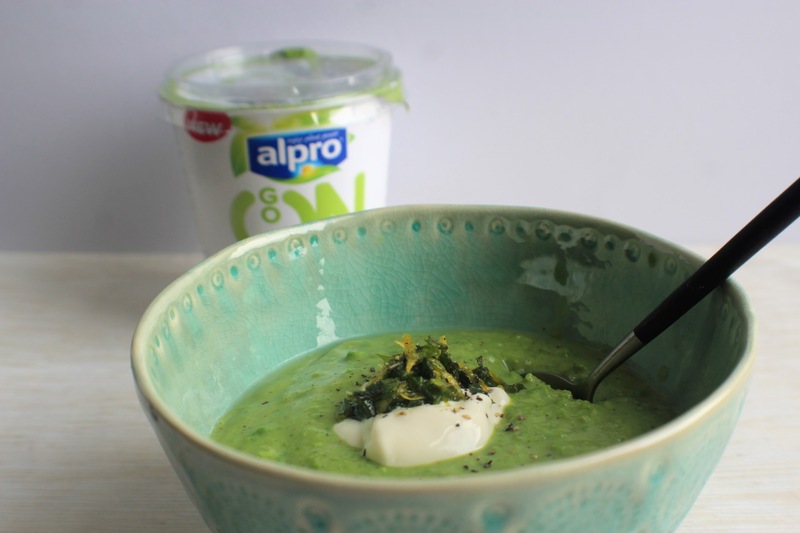 Although I would have usually gone down the sweet route, Alpro challenged me to create a savoury recipe using the Go On Plain Big Pot. 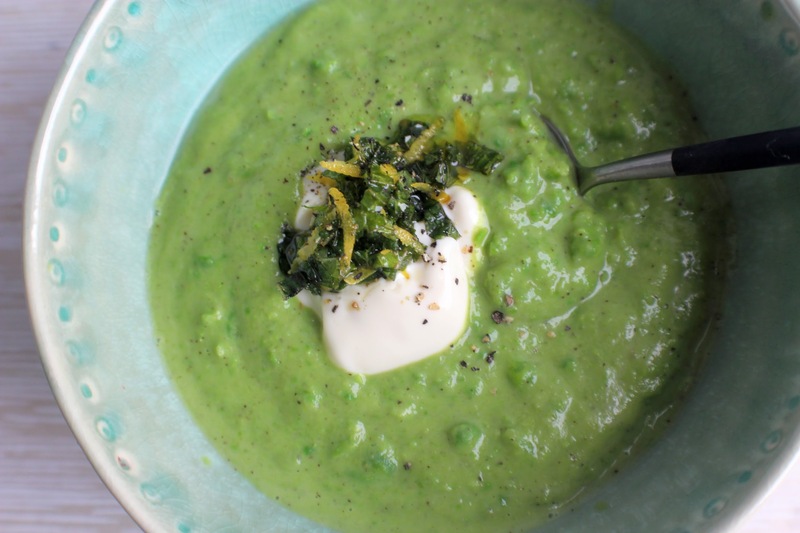 As much as the yogurt would work amazingly stirred into spicy stews and curries, whizzed up into a dip or added to a risotto, I fancied making a Spring-themed, flavoursome and refreshing soup, thickened up with the yogurt and served with a herby, zesty oil. Serve with plenty of crusty sourdough bread to dunk in! Heat the oil in a large pan then add the onion or leek and garlic. Cook on a medium heat for 10 minutes to soften. Add the peas, broad beans, water, herbs and seasoning and mint leaves. Bring to the boil then simmer for 15 minutes. Add the spinach leaves and simmer for a further few minutes to wilt, then remove from the heat. Allow to cool slightly then pour into a blender along with the Alpro Go On. Whizz up until mostly smooth. Make the lemon and herb oil – simply mix everything together (it’s better to make this a few hours/days in advance to really infuse). 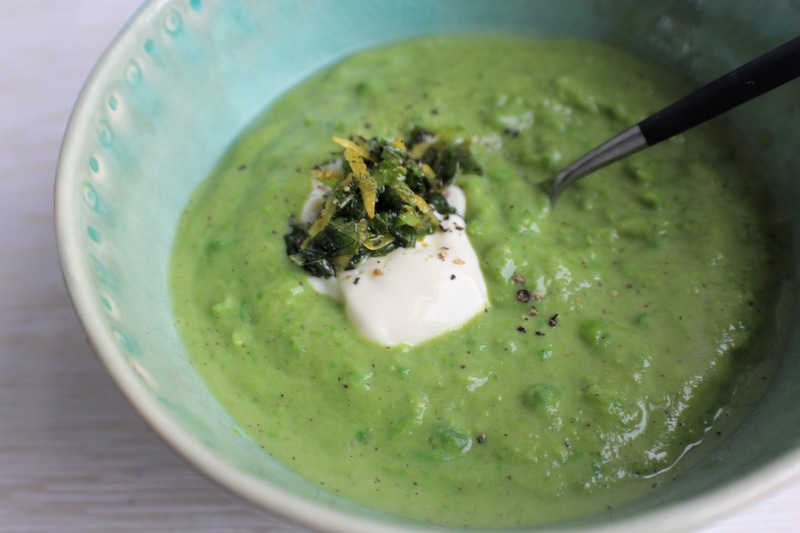 Dish the soup out between bowls, top with more Alpro Go On then a spoonful of the lemon and herb oil to garnish. Enjoy! 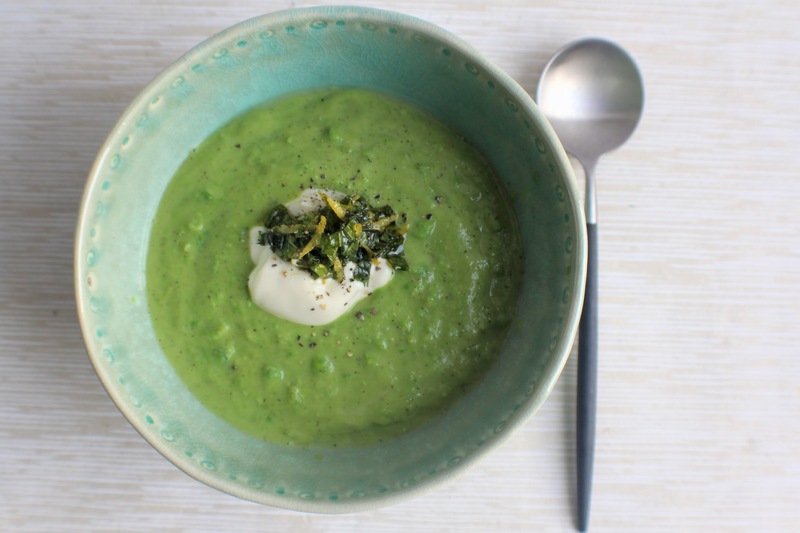 This soup is delicious served either hot or cold – your choice!